We don't hear much about spiritual warfare these days (1 Timothy 4:1-2). Most churches seem to ignore the reality of Satan and the evil he inspires. God's warnings about fellowship with the world's alluring thrills doesn't fit the contemporary image of Jesus as a tolerant, easy-going friend. o wonder our public schools are becoming bastions of atheism, immorality and spreading fast the promotion of Islam. Like the persecuted Jews during and after Hitler's holocaust, todays Jews and Christians are facing hatred and rising persecution. It's no secret that Satan's lies have sparked wars and cruelty through the ages. Ever since Adam and Eve chose to follow their own feelings and desires rather than Gods wise guidelines, humanity has faced assaults from 'the evil one' often through his willing pawns. Call him the Devil, Deceiver, Satan, or serpent; it doesn't matter. It's all the same ruthless oppressor. From the beginning, this invisible fiend has been seeding doubt, depravity, despair, and death. Through the ages, he has inspired idolatry, witchcraft, deadly curses, and magical arts used to control people and corrupt cultures. 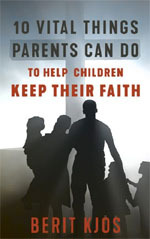 The following ten points offer practical and scriptural advice on how to raise your children to know and love the Lord and to continue walking in the faith. The goal of education has changed! Our public schools no longer teach the kind of literacy, history, math, and morality we once considered essential to responsible citizenship. The new agenda infiltrating our schools is designed to train a new generation of postmodern 'progressive' students to believe whatever might serve a pre-determined common global good. Today's 'common core' will be based on a global collective agenda, not on Western democracy or Christian values. Like Nazi youth, they will be taught to react, not think, when nudged to do the unthinkable. 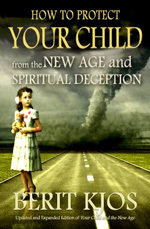 And, like Nazi Youth, our children will be blindly following Antichrist! 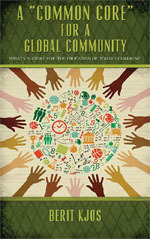 Unlearning "the old ways" is key to contemporary "education" and global transformation. Both educators and globalist leaders seem determined to banish God's moral and spiritual foundations. Consequently, they invite chaos rather than unity -- coercion instead of freedom -- war and violence instead of peace. One of their more effective tactics is simply to manipulate the child's imagination and mold it to fit today's anti- Christian illusion of a better world with freedom to explore what once was forbidden. 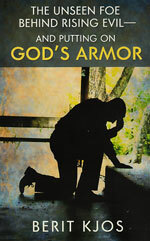 How can we equip our children to take a stand and avoid deception? How can we help them escape the pressure to compromise? And how can we train them to say no to all the spiritual seductions that ultimately bring grief and corruption? There is an answer! We can can equip our children with Truth, warn them of the alluring power of deception, and teach them how to remain strong and steadfast in Christ. The challenges ahead will surely test their faith, so let us pray that they will hear and heed -- rejecting today's tempting evils and delighting in what is true and good. 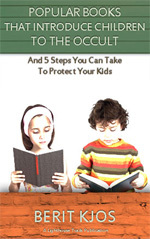 You can take five steps to Protect Your Kids! Through compassionate interviews, this material brought the reader into the hearts of lesbian and gay couples. It encouraged its reader to use contraceptive devices, know the best rock groups, and see the right movies. Question: 'How old are the kids who buy these?' Answer: 'Every age', he answered. From little kids to adults'. What are some of these books? 1) Warrior Cats & the Occult, led by Scholastic. 2) Divination, Omens & Full Moon Worship. 3) The Upside-Down World of Pullmans 'Dark Materials'. 4) Loving the Occult. 5) Harry Potter Lures Kids to Witchcraft. 6) The Twilight Vampire Phenomenon. Berit then spells out five concrete steps parents can take to protect their children's minds and souls from this unique demonic onslaught against our children. HOME-SCHOOLING is the ultimate defense against this wicked onslaught against our children's minds, souls and emotions!